Each year, DAV, Paralyzed Veterans of America and Veterans of Foreign Wars make joint policy recommendations to strengthen federal veterans programs and services through the Independent Budget. This year, however, the recently released Independent Budget Veterans Agenda for the 116th Congress lists a single priority item as the pre-eminent need: implementation of the VA MISSION Act. The bipartisan VA MISSION Act—which was supported by the budget authors and more than 30 additional veterans groups—reforms the way in which veterans access care in the community, invests in the VA’s capacity to provide care at its health care facilities, calls for assessment and modernization of VA infrastructure, and expands eligibility of the VA caregiver support program. Improve timely access to quality mental health services. Ensure women veterans have equitable access to health care, including gender-specific services. Modernize the VA’s Electronic Health Record system. Accommodate unique health needs of minority veteran populations. Reform and modernize claims and appeals processing. Fully recognize toxic exposures, including burn pits and Agent Orange, for affected veterans from all eras. Safeguard veterans’ earned benefits from erosion or elimination. Strengthen federal support for veterans’ families and surviving spouses. Create an Economic Opportunity Administration within the VA. Enhance Vocational Rehabilitation and Employment Services. Strengthen Veteran-Owned Small Business programs. 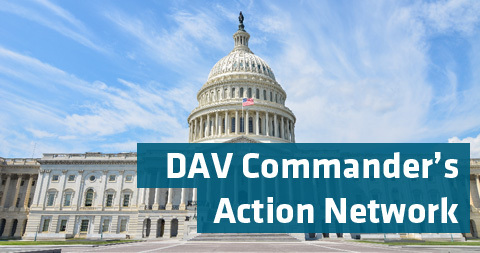 Aligned closely with DAV’s own legislative priorities, the Independent Budget’s policy agenda calling for legislative action to focus on recognition of toxic exposure among veterans is expected to be an early priority of the 116th Congress. For 30 years, the budget partners have offered a comprehensive breakdown of critical veterans issues and a policy road map for Congress and the administration. They have also released a detailed set of budget recommendations annually each February. To view the full text of the Independent Budget Veterans Agenda for the 116th Congress and the organizations’ budget recommendations, visit www.independentbudget.org.